Our respiratory system, including our lungs, trachea, nose and sinuses, is composed of the only internal organs in our body that are in direct contact with the external environment. That means our immune system has to work extra hard to protect the body against invaders that may enter through this system. When our respiratory system is under attack, congestion, temperature fluctuations and irritation can make us feel at our worst. 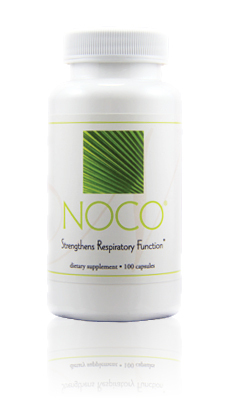 NOCO, a combination of herbs using ancient wisdom and modern research, helps soothe and strengthen your respiratory function. also fight free radicals that can become less manageable by the onslaught of viral and bacterial aggression. By strengthening the lungs and modulating the immune system, the body is more able to defend itself from invaders from the outside environment. 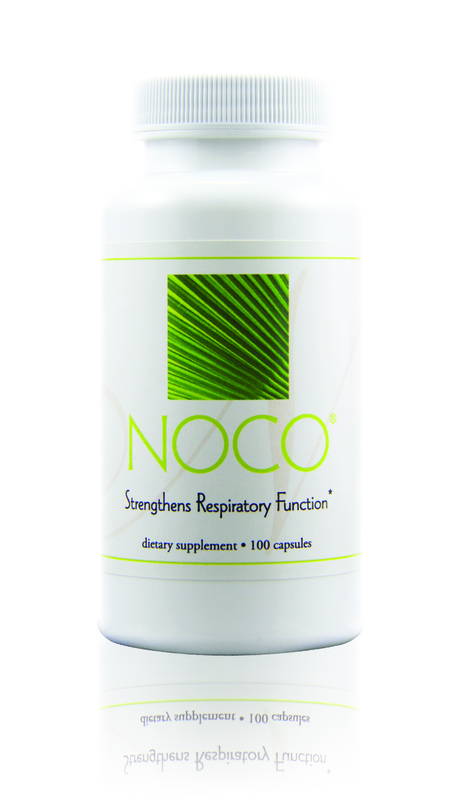 NOCO is a wholesome, carefully balanced Nutritional Immunology combination of herbs that benefit the respiratory system. Each herb is prepared using traditional practices, combined with state-of-the-art technology to ensure premium quality. That means maintaining optimal content of immune enhancing phytochemicals, polysaccharides and antioxidants.